Hot Rolled Deformed Steel Bar. 1. To study the shear stress ~ shear strain behaviour of the material. 2. To study the failure pattern of these materials in torsion. 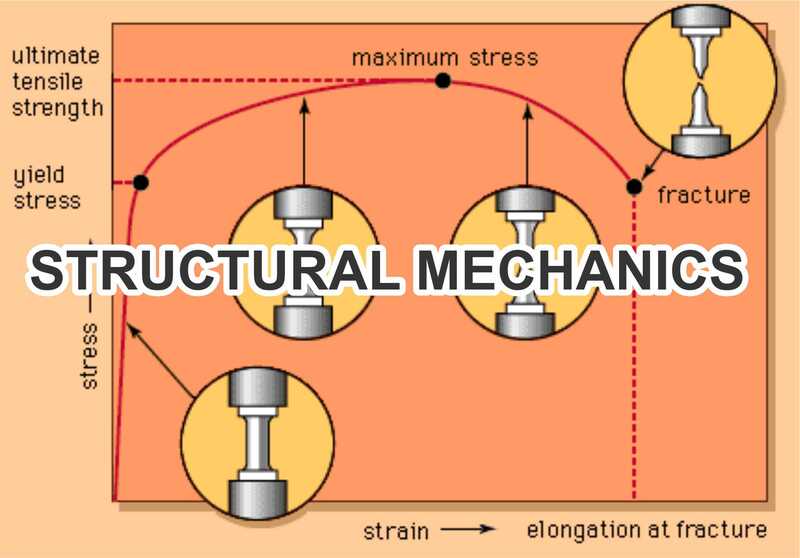 Shear strength, shear strain and ductility in torsion. Experiment # 3 To Study the Elastic Stress Strain Behaviour In Bending Using Electrical Resistance Strain Gauges. Experiment # 4 Determination of Principal Strain and Stress Using Strain Rosette Technique. 1. To determine the principal stress σ min/max. Experiment # 5 To study the bending of a Z-Section. The purpose of this experiment is to confirm the theory that “loading a beam along the principle axis always produces symmetrical bending”. Experiment # 6 To Determine The Shear Centre Of A Channel Section. The purpose of this experiment is to confirm the location of the theoretically determined shear centre. Experiment # 7 To Determine The Elastic Critical Load Of Modal Columns with Different End Conditions. The purpose of this experiment is “to make comparison of experimental and theoretical elastic critical load for columns with different end conditions”. Experiment # 8 To Determine Elastic Critical Load and Initial Imperfection Of A Pin Ended Real Column Using South Well Plot Technique. a. To determine initial imperfection of a column just by load deformation observations. b. To determine elastic critical load of a column without loading it up to the critical load value.